One Water is the flagship product of the One Foundation, a UK Registered Charity set up to improve access to safe and clean water for those most acutely in need. 100% of their profits go to water projects and since their launch in 2005, they have raised over £10m. Third City will handle consumer PR for One’s range, including its flagship product One Water and support the business as it seeks to attract mainstream consumers and new retail partners. Reporting into head of brand development, Ian Spooner, we will be responsible for developing One’s social media and content strategy, establishing the brands challenger behaviour through interesting brand activity, sponsorship amplification and media relations. 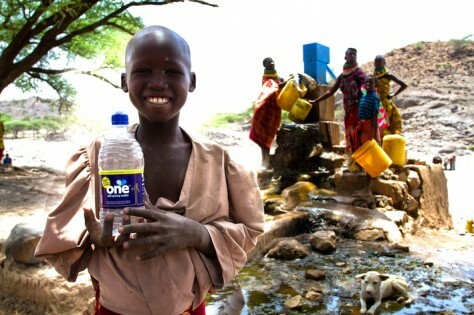 One Water was launched in 2005 by entrepreneur Duncan Goose, when it was chosen as the official water for the Live 8 and Make Poverty History. In seven years the company has grown its product range under the One brand which now includes One Eggs, One Porridge and One Handwash. All profits are donated to life-changing projects in developing countries, with every product sale funding a like-for-like equivalent. For example, One Supersofty toilet tissue funds hygiene and sanitation projects in Africa. Consumers are seeking dynamic brands with true ethical authenticity. Want to join our growing Third Citizens network?